I recently went to renew my helper's work permit. This is my 7th year living in Malaysia. And this is the 4th renewal of my helper. We went on April 2014. 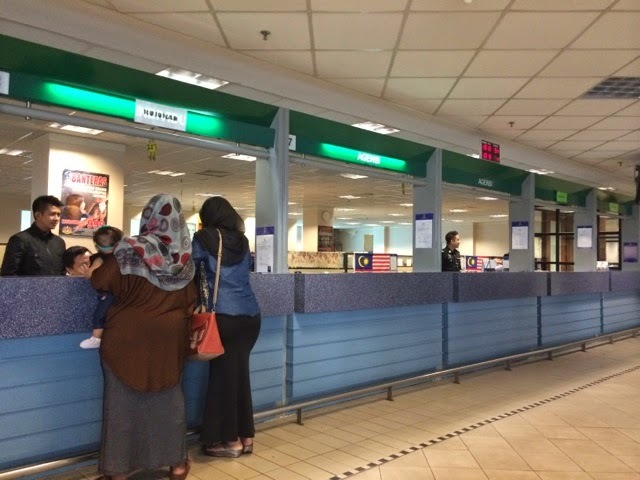 I couldn't be more pleased with the way things are going at the Immigration Office at Putrajaya. I went on a Thursday, drove there with my helper and my 7-month old son. Was kind of expecting a long waiting time, and instead was pleasantly surprised with the speed and efficiency of the staff there at the 2nd floor. I got my number coupon and immediately my number was called up. I went there to show my helper's passport and informed them I am under the Resident's Pass, and they knew what it was. They went to do 2-minutes checking, and came back saying everything is okay, I just need to go to cashier to pay. I went to pay, there was just 1 person in front of me... then, went to another counter to submit the passport for immediate stickering. I asked the guy how long I need to wait, he said 10 minutes! In 5 minutes, we received the passport with the new sticker! Wow. I was impressed. Either I got lucky or things are really getting better over there. Kudos to the Immigration Department. Please do keep it up!